Britain requested the urgent meeting on Thursday, diplomats said, following the order from Khalifa Haftar, a key player opposed to the government in the capital. Haftar's forces announced Wednesday they were gearing up for an offensive in the west of the country to purge it of "terrorists and mercenaries," having seized key areas of the country's south since the start of the year. 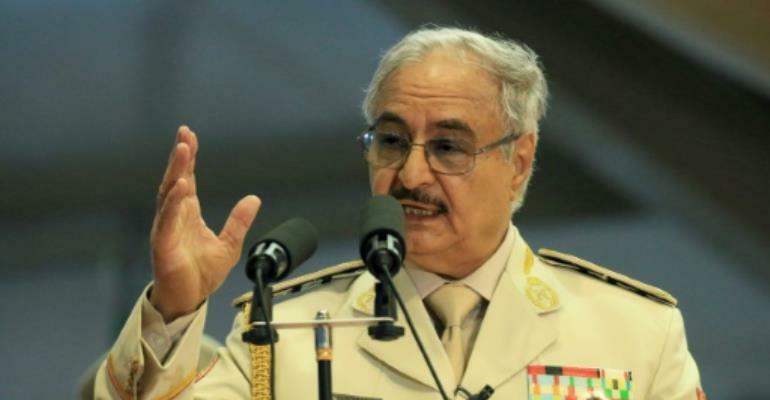 "The time has come," Haftar said in an audio message released Thursday by his self-proclaimed Libyan National Army, pledging to spare civilians and "state institutions." The meeting is scheduled for 3:00 pm (1900 GMT). Elections in Libya are meant to turn the page on years of chaos following the 2011 overthrow of Moamer Kadhafi that has seen a bitter rivalry emerge between two governments scrambling for control in the oil-rich country.